I really like to shop in Uccle. There are so many cute shops that I adore! The other day, when I walked in one of them, I fell in the love with the smell! They had many, many beautiful scented candles. Some were small and some were huge! They were all Baobab candles. Baobab is the name of an african tree. I read that the Indigenous Australians used Baobabs as a source of water and food and also used the leaves for medicine studies. They also painted and carved the outside of the fruits and wore them as ornaments. The Baobab candles are high-quality handmade perfumed candles which are produced in Belgium since 2004. 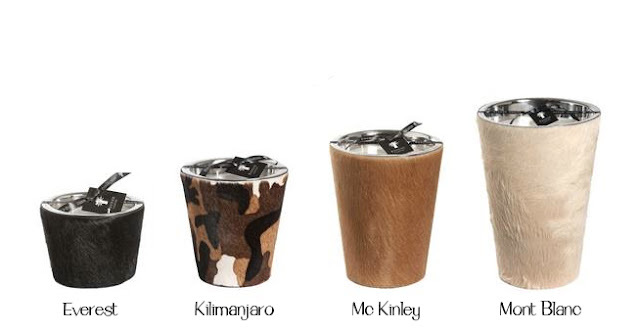 These are my 4 favourites and they're from the Mountains collection! They're pricy (from 99€ to 590€) but so so beautiful! They also make lighters and home fragrances. See the whole collection here or buy online on La Boîte à Bougies here.